I must confess that I have lived quite literally two minutes (by foot) from Victor’s Meats & Delicatessen for the past six months, yet had not once set foot in the place until this past weekend. “Why?” you ask. Well, the answer isn’t simple. It’s also not difficult, because there is no answer save for my foolishness. And it is pure foolishness because Victor’s is a dream come true. While part of the place is straight-up butcher, Victor’s also serves up sandwiches and assorted pre-cooked foods and salads and such. I was in for a sandwich, but I got more than I expected. Yes, I did the muenster mash. First, I have to say that Victor’s is slow, but not in the annoying “I’m being ignored” way, but in the “wow, they really spend a lot of time with each customer” way. In a world of fast food, I found this incredibly refreshing, even if it did mean my starving belly didn’t come into contact with meat for an extra 7 minutes or so. I decided to go with their hot pastrami sandwich, which ordinarily comes with a plethora of toppings unfit for an unvegan. Instead, I simply went with muenster cheese and Russian dressing. I watched as my helper sliced the pastrami himself, loaded up the bread with muenster and toasted the sandwich and my mouth got into some deep watering. I also decided to get myself some mac and cheese as a side, because one can never have too much cheese. In total my meal cost about 10 bucks and took my bag of grub back home to take care of business. Business was delicious. 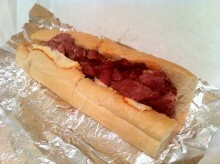 The pastrami was definitely not the best I’d ever had, and got to be a bit salty at times, but still made me very happy. I was more than happy to have muenster cheese, which simply is not offered as an option at enough places. Honestly, I’m not sure of the last time I saw it outside of my own fridge. The Russian dressing was a nice addition of flavor and kept the sandwich from getting too dry, although the pastrami was plenty juicy. Finally, there was the bread itself. 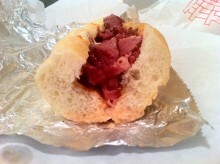 I must say, while it did not compare with bread like that of Bay Cities, it was still quite good. It held up strong and I feel like it would be great for something like a Philly cheese steak as well as simple deli sandwiches like mine. Could I get muenster on top of this? 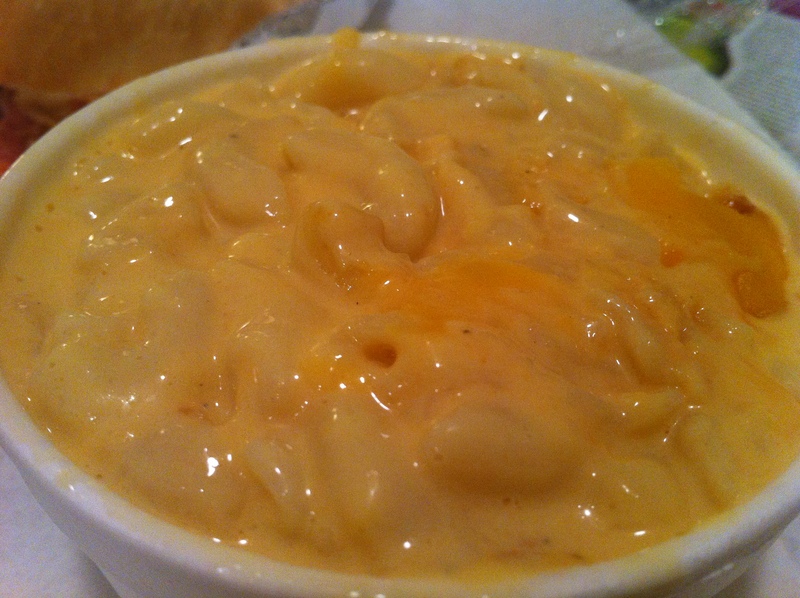 The mac and cheese made for a nice side, but wasn’t really anything special. This is not necessarily a bad thing, as Victor’s isn’t some revolutionary deli, but it still could have been a little more interesting. So, Victor’s is awesome. No, it is not the best sandwich in the world. No, it is not the fastest service in the world. But you know what, the place is damn endearing, the prices are damn good and it is seriously worth checking out, even if you are more than two minutes away.